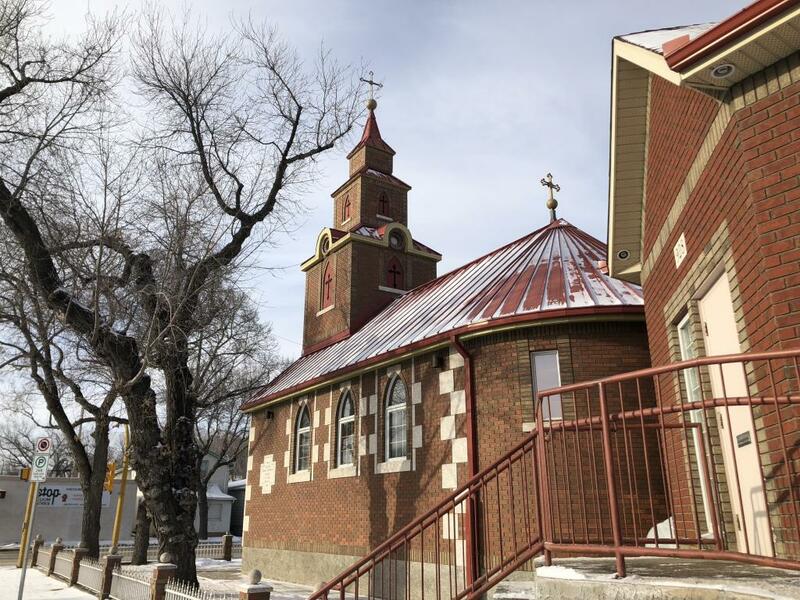 In the oldest church of the Diocese of Canada dedicated to the Holy Trinity in the town of Regina in the province of Saskatchewan, the Serbian Slava of Saint Sava was celebrated. The faithful and children gathered in the beautiful church which had recently celebrated its 100th anniversary, where everyone, though far from their fatherland speak the Serbian language and are aware of their Serbian roots. The liturgy was officiated by Protosindjel Vasilije (Gavrilovic) from Holy Transfiguration Monastery in Milton who came per the invitation from this parish and the blessings of His Grace Bishop Mitrophan of Canada, to join them in the joy and this festal day of our Church. Following the Liturgy the Slava Kolach was blessed with this year's kumovi Gavro Smiljic while Tamara Smiljic accepted the kumstvo for the following year. Fr. Vasilije addressed the faithful with a few words, the Hymn to St. Sava followed, sung by the children of the church-school congregation of Regina. Following the hymn the chidlren recited poems dedicated to Saint Sava. After the distribution of the nafora the children were given gifts from this year's kumovi and a Slava luncheon followed and fellowship in the church hall of the Holy Trinity Church.